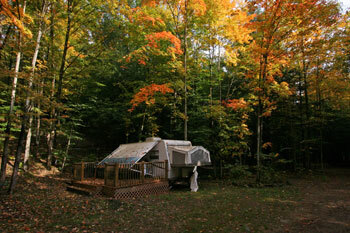 Among the best of Western New York Camping, Evergreen Trails features a variety of open or shaded RV and tent sites. 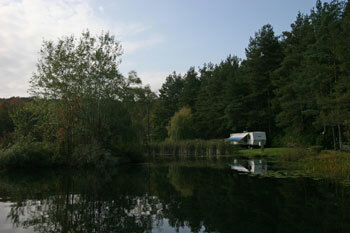 Sites are situated in a natural setting with lots of trees and 2 ponds. 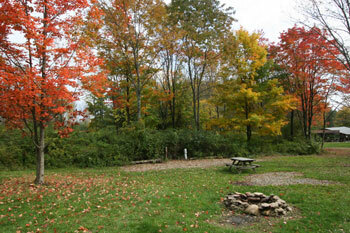 All sites have a picnic table and fire ring. 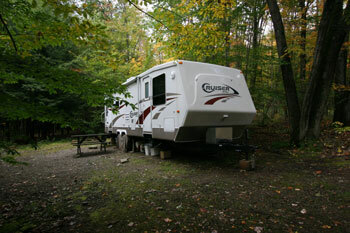 RV sites at our New York State Campground have electric and water. Honey wagon service and dump station available. 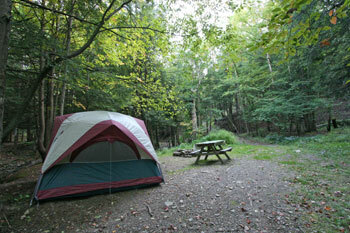 Tent sites at our NY Campground have electric and water or just water. 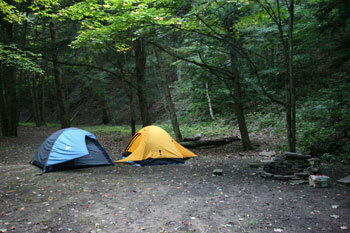 Some tent sites sit beside a quiet stream. 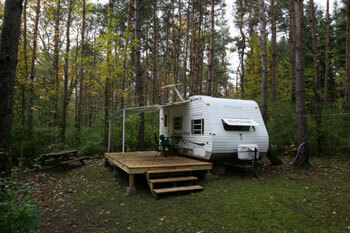 Spacious wooded sites with electric and water. 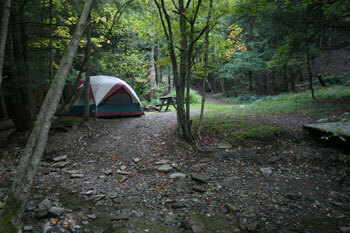 Call the campground for current rates. 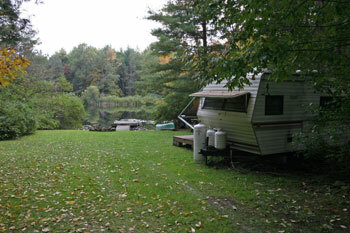 Evergreen Trails Campground also features 25 Secluded Cabins in NY. All other vehicles must park in overflow parking area. All reservations require a 1 night deposit. We accept Visa, MasterCard and Discover. If you prefer to pay by check/money order, your payment must be received within 7 days of making your reservation. 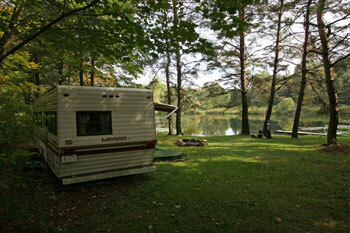 Three night minimum stay required for holiday weekends (Memorial Day, Labor Day, 4th of July, Columbus Day). You must be 21 years of age or older to make a reservation.